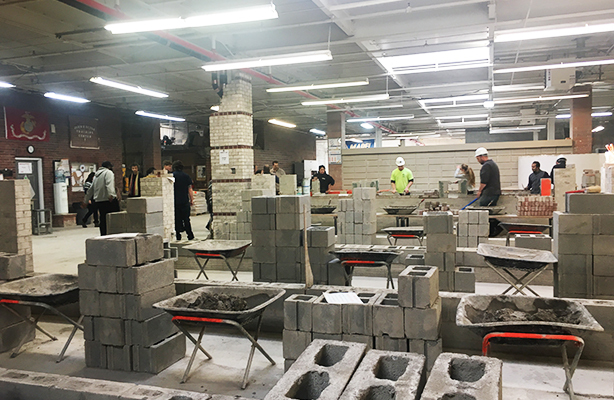 This week, the first-year M Arch I students visited the International Masonry Institute in Long Island City as part of their Materials and Construction curriculum. The first-semester course, taught by Alan Feigenberg, Mathias Neumann, and Fabian Llonch, introduces students to systems and techniques employed in construction with a focus on materials like timber and masonry. 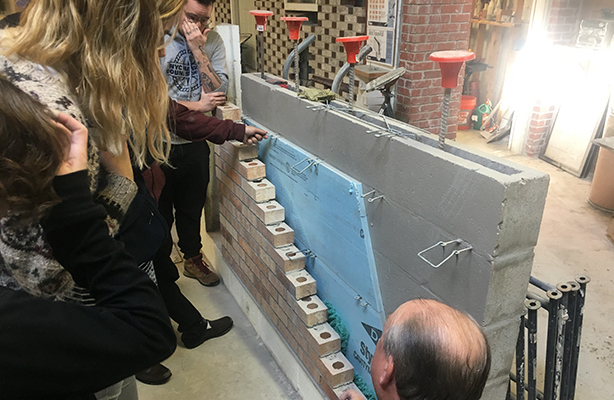 During the visit, experienced union instructors taught the students the technical skills and practices of bricklaying and tiling while emphasizing the importance of efficiency and safety. 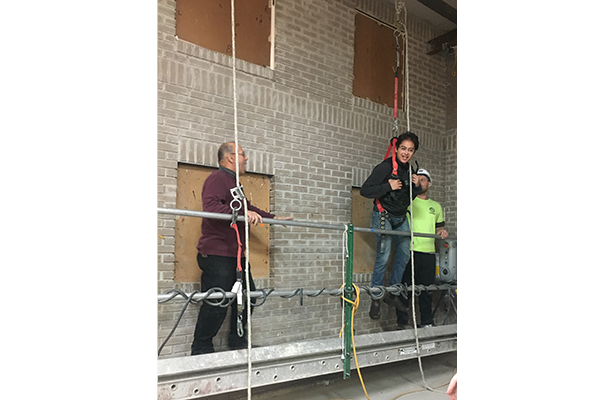 Through meeting and working with the instructors and their apprentices, the students gained a broader understanding of what happens on the other side of architectural drawings and gained an appreciation for the coordination among architects, contractors, and related trades. 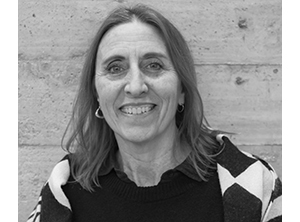 Feigenberg stated, “An essential aspect of understanding and performing architectural design is an aesthetic and pragmatic understanding and application of materials . . . construction and for finished materials . 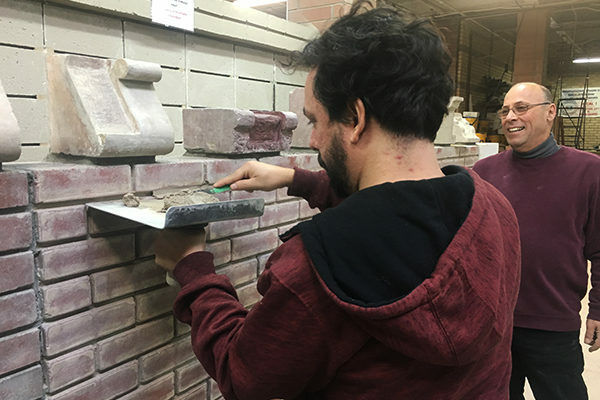 . . for stability, construction, and building and design solutions.” The students look forward to utilizing this first-hand experience learning the physical properties and characteristics of masonry in their future work.